I set up my jewellery and accessories business, Roxiie's Treasures, after being fed up of getting knocked back from jobs while being on Jobseeker's Allowance. My journey began at The Rotunda, Kirkdale, where I attended a course based around setting up a business, which I thoroughly enjoyed. Combined with my growing frustration of unemployment and my enjoyment of the course, I was inspired to take my first leap into self-employment. Putting my naturally creative personality and National Diploma in Graphic Design from college into use, I opened Roxiie's Treasures in May 2013, a business that provided jewellery, bags, scarves and accessories at that time. Whilst starting up, I approached The Women's Organisation, where I met with a business advisor to discuss my business idea and plan my next steps. I went on a few courses at The Women's Organisation, including book-keeping, tax & national insurance and how to promote your business online. I felt really happy as I didn't know what to do before. I found the support I had received very helpful and everyone was very welcoming. 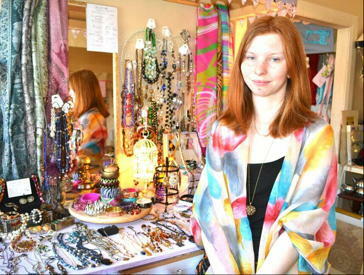 Since opening in May 2013, Roxiie's Treasures has expanded from online selling and craft fairs, into a shop space based on College Road, Crosby, Liverpool. 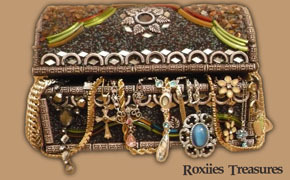 Now Roxiie's Treasures not only sells jewellery, bags, scarves and accessories, but also candles, gifts and household items. Just 8 months after starting my business, I was shortlisted for two Women in Business awards, rub by Downtown Liverpool and sponsored by The Women's Organisation; I was nominated for Entrepreneur of the Year and Young Entrepreneur of the Year.